The Andrews Government has also further delayed the release of the new Timber Release Plan as the state’s replacement Regional Forest Agreements are negotiated. A total of 688 known Leadbeater’s Possum colonies have been detected and have now been protected, according to the November 2018 figures on VicForests’ website. This includes the pre-existing 153 colonies estimated to have existed by 2014, and the 535 colonies that have been found in the more extensive and systematic State Government surveys since then. Each colony represents between three and 11 individual possums. The surveys are conducted by VicForests, the Department of the Environment (DELWP), the Arthur Rylah Institute, Parks Victoria, Zoos Victoria and community groups. They have been conducted in 6-10% of the possum’s possum’s potential or likely habitat. There are 204,400 hectares of potential Leadbeater’s Possum habitat found in the Central Highlands, with 70% of that in parks and reserves and 30% available for potential timber harvesting. Most searches have taken place in the timber zones. 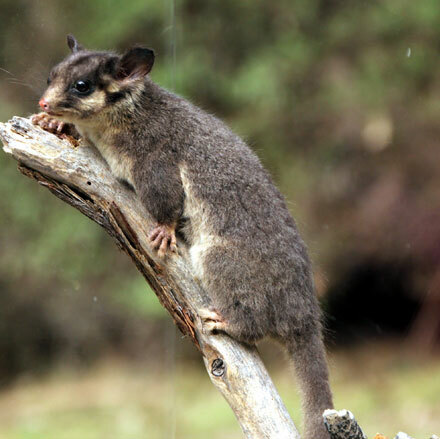 The 2014 Leadbeater’s Possum Advisory Group advocated 12ha buffer zones around each new colony detected, along with a ceiling of 200 new buffers. Forestry consultant and author, Mark Poynter, writing in ‘Online Opinion’ said an Andrews government review ignored the upper limit and continued to install the extra buffers. Thus 688 buffers are in place. “The new Leadbeater’s Possum detections have now become so numerous that its critically endangered status is under review by the Federal government,” he said. This was acutely ironic. Meanwhile, the State Government is assessing the final route of a 120-kilometere walking trail in East Gippsland from the forests to the coast that it promised environmentalists in the final days of the state election campaign. No details of the proposed trail were announced to East Gippsland media and the government forestry corporation VicForests was not informed or consulted about the project. ‘The Age’ reported that the trail will pass through 47 allocated logging coupes, 26 of which have been confirmed for timber harvesting since January 2017. Harvesting along the route began last month. VicForests said part of the proposed walking trail was along an access route for logging trucks. DELWP has proposed options to limit the impact of logging on the trail, including postponing timber harvesting, increasing the buffer between the trail and the logging coupes, or reshaping the coupes to keep them from the walking trail. VicForests spokesman Alex Messina said the deferral of logging would harm VicForests’ ability to honour contracts at a time of tight supply. With the government reviewing the final route, Mr Messina said VicForests was open to a solution that recognised the importance of tourism and the native forest timber industry. The tight supply has been exacerbated by the failure to sign the new timber Release Plan, which was submitted to government last July. A government spokesman said additional time was needed to get the TRP right. Mr Poynter said this had forced industry to access the few remaining coupes still available under the previous TRP. Many of these had also been hugely diminished by new reserves for various fauna species, he said. Apart from the Leadbeater’s Possum, these included larger reserves of 100ha for detections of various owl species and 500 ha for the spotted quoll. “This comes at a time when government is considering the renewal of Regional Forest Agreements,” he said. Mr Poynter said doubts about the Government’s intentions had been heightened by outsourcing oversight of the RFA modernisation project to the Royal Society of Victoria. This body, which mostly consisted of conservation scientists, openly supported the Victorian Greens’ so-called ‘Great Forest National Park’ policy. “If this proposed new national park was to be declared, it would kill-off most of the state’s timber industry,” he said, with the loss of more than 2000 jobs.